The Ellis Team at Keller Williams Fort Myers & The Islands is hiring inside sales agents as well as listing and buyer specialists. An inside sales agent is different than a listing specialist or buyer specialist in that inside sales agents don’t have to leave the office. Read more about Ellis Team Shaking up the SW Florida Real Estate Industry We have buyer and seller leads from several sources. One way we obtain seller leads is when sellers fill out our online property valuation form to find out what their home is worth online. Sellers love this service as they get an online valuation instantly, and the system will email them monthly changes in the market and if their property has increased or decreased in value. Another way we receive seller leads is our Neighborhood Market Reports. Sellers love this page because they can see what homes are selling for in their neighborhood with quick statistics like Average Days on Market, List Price Per Sq Ft, Sold Price Per Sq Ft, and more. Complete photo galleries are available for each home along with maps and data so a seller can objectively see how their home compares in the marketplace. Buyers love our MLS Property Search Site as well. They receive access to all the homes listed in MLS and the database is updated every 5 minutes, so they will receive information faster than most Realtors will. 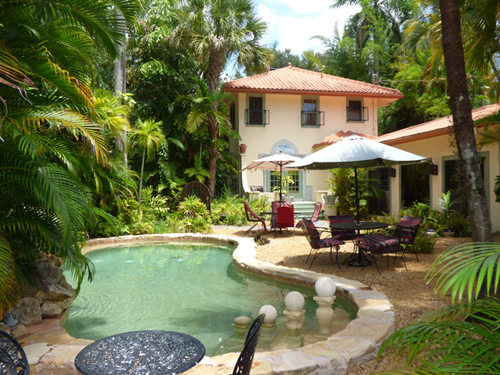 Our SW Florida Seller’s Club is attracting sellers too. We send out a private email to current and potential sellers in the club and they receive access to monthly expert analysis to data the top Realtors in Lee County look at. This data helps them evaluate pricing trends in the market and allows them to make quicker, better decisions. We posted our July 2016 Seller’s Club video here so you can see what seller’s receive each month in the private email. We’d love to hire a few great inside sales agents in the next week or two and add some listing and buyer specialists as well. If you know someone willing to work hard and has what it takes to be successful in the real estate industry, please give us a call at 239-489-4042 Ask for Brett Ellis or Sande Ellis. Fort Myers made the news and we’re bringing you some top stories that relate to real estate in the Fort Myers Cape Coral area. The first story you might notice are hurricane preparedness tips. June 1st was the start of hurricane season so these tips are always helpful this time of year. AC/DC bassist Cliff Williams sold his Gulf Harbour mansion and we have a story about that. There’s also a story about cash buyers and another story about buyers using low down payment loans. We hope you enjoy our Fort Myers in the News. You may wish to subscribe to our Ellis Team Storify Page where we’ll keep bringing timely news for you. We’ll have lenders onsite with special financing for as little as 3% down. Meet at the clubhouse for a private tour. We’ll have refreshments and information on how you can buy a unit this weekend. We also have special incentives this weekend. Pick out your residence before someone else does! Bella Casa is a luxury condo community in South Fort Myers with 200 homes. Only 29 residences remain and we’re having a Close-Out Sale. Prices start in the $130’s for a one bedroom unit. We also have 2 and 3 bedroom units with 5 floor plans to choose from. Check us out. It’s probably cheaper to buy versus rent. Bella Casa is centrally located off Daniels Parkway on Plantation Rd. Our location is just minutes from Gulf Coast Hospital Chicos World Headquarters, Bell Tower Shops and movie theaters, golf courses, restaurants, and both the Minnesota Twins and Boston Red Sox Spring Training facilities. We’re also close to I-75 and Southwest Florida International Airport for easy travel. You’ll fall instantly in love with one of our 5 Mediterranean style luxury residences. These spacious 1, 2, and 3 bedroom units all have granite counter tops and include appliances. Residents just love our resort style pool and hot tub, and our community club house and Town Center with state-of-the-art fitness center, an outdoor living room under truss with a two sided fireplace. We also have a tennis court for those that enjoy a match..
Bella Casa is a short drive to both Fort Myers Beach and world renowned Sanibel and Captiva Islands. Boating and fishing in SW Florida are some of the best in the world. People come from all over for Tarpon and big game fishing, and Sanibel boasts some of the best shelling in the world. Ask our staff about shelling, beaches, and boat clubs you can join for a fraction of the cost of owning a boat. Our prices start in the $130’s to very low $200’s. We have low HOA fees, only $220/mo and No CDD. No surprise fees. Living the good life in SW Florida has never been more luxurious or more affordable. Come check us out. You’ll be glad you did, and bring a friend. We’re a friendly bunch and you’re sure to make friends here whether it be poolside or at one of our community events. Our units are brand new and priced below replacement cost, so you’re getting a bargain. We’re located ¼ mile North of Daniels on Plantation Rd in South Fort Myers. Call our sales office at 239-288-5117 or stop by. We’re open 7 days per week 10-6 Monday -Saturday and 11-6 on Sundays. Brokers are welcome. The Lee County Florida School Board rescinds vote to opt out of mandated state testing. Read WINK News Coverage on the vote. Tomorrow we’ll be releasing some interesting statistics on our Topagent Blog about single family home inventory levels in SW Florida. Basically inventory levels rose in March, April, May and June which allowed pending sales to increase in June and July. Brett Ellis will be attending the CyberStars conference in Las Vegas next week. The CyberStars are a group of technology focused top agents from across the country that share ideas on improving communication with clients, using technology to market properties, and increasing efficiency in the real estate industry. The CyberStars is an elite group of agents and minimum production standards must be met as well as using technology prominently in the agent’s business. We welcome your comments and suggestion for news article. Our article are posted online in our Blog and in the News Press Homeseeker each Saturday. Just post a comment on anything you’d like us to cover. 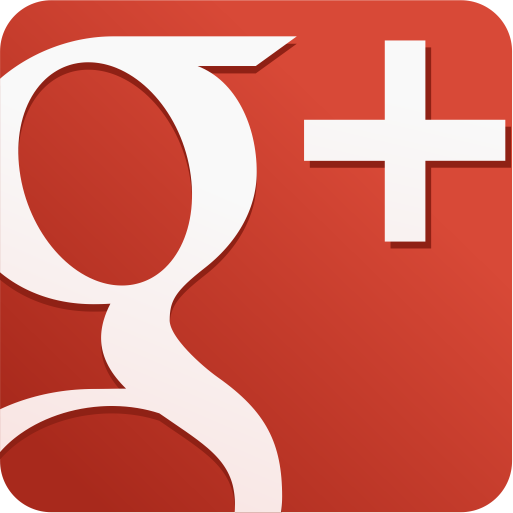 Feel free to view our Virtual Tours . Buyer agents will love this new service because it will automate the showing setup process and save much time. Setting up showings is a painful process and takes many calls to coordinate. Let’s say a showing agent wants to setup 7 showings, and the first 3 say yes, and the next showing request says OK, but you must change the time. It throws the entire schedule off. The showing agent then may need to call back to the first 3 showings and modify the time. What happens when one of those sellers says no? It can start the whole process all over again. Listing agents will love this new service because not only will it automatically setup appointments on your listings, it will also contact the buyer agent for feedback after the showing. It makes it easy for the buyer agent to respond and will do so up to 4 times so feedback should also increase dramatically. Agents can also include surveys to other agents to gain market insight as to why the home isn’t selling. The simple answer is probably not much. Zillow and Trulia are online portals meaning they take data from agents and brokers and display it to the public. This is nothing new as agents display the data as well on their own websites. Companies like Zillow and Trulia bank on the fact consumers will hit their site as they are nationwide versus agents who are in each local market. Zillow collects money from agents who pay to advertise on their site. They sell consumer leads to agents. Agents basically pay for views in a zip code, or to have their presence as a featured agent on certain listings. In the past year Zillow has been raising rates significantly. So much so that agents are falling out and zip codes are becoming available right and left as agents decline to renew their agreements, so they look for new agents. I get calls weekly telling me zip codes are opening up. Let’s say Zillow’s traffic increases in zip code 33919. Zillow sells chunks of impressions by the thousand, so if they find they have 3,000 more impressions in that zip code, they’ll sell 3,000 more impressions. Agents used to get overflow but not now. Zillow is diluting the lead generation and charging more for it. If we used to pay about $400/mo for 10,000 impressions, Zillow has raised the ante. They call now trying to sell me 3,000-5,000 impressions for $800. Zillow has a problem. They are raising prices and selling more impressions than ever before, but their net income is going the wrong way. In fact, revenue increased 70% while net income was a loss of 6.26 million last quarter. So what does Zillow do, but up #2 competitor Trulia. I looked up Trulia’s financial situation and last year revenue was up 142% while their net loss was 11.1 million. 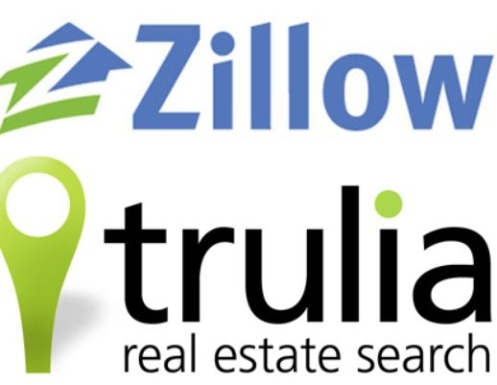 So Zillow is purchasing Trulia for 3.5 billion in common stock. Both companies are losing money. How does this deal make sense? Zillow says they can grow revenue and cut costs. Of course they mean they’ll cut employees. They intend to operate both businesses separately to try and generate more revenue. If they raise prices too much agents will revolt. I predict they’re going to sell more consumer data to agents in segments. They’ll use more menu pricing whereby agents can purchase leads of sellers thinking about selling their home. If you fill out a Zestimate on their website, they’ll sell those leads. On Trulia if a consumer makes an inquiry on a home that lead info is sent out to multiple agents and it becomes a war as to who can hammer the consumer the fastest and most often to convert the lead. We don’t think this is what the consumer is asking for when they go online. The consumer just wants information without talking to someone. They don’t want agents calling them hammering them with solicitation until they’re ready. Consumers don’t like it when they’re information is sold. Agents don’t like it when they receive a lead and it’s also distributed to other agents. Real estate is a one on one transaction. It’s personal and about trust, and this business model doesn’t recognize that. It’s just money. If a consumer wanted to be contacted by lots of agents they could just signup on multiple agent websites. That way the consumer is consenting. Zillow came to fame by providing home value estimates. In the beginning these estimates were way off, and still are in many cases. Agents and consumers alike complain that Zillow’s data is old and inaccurate. Zillow and Trulia obtain information from multiple sources and it’s not always accurate. We provide home value estimates on our website. www.Topagent.com We also provide the MLS feed for searching the MLS. The difference is it is accurate because it comes directly from the MLS. The other difference is we don’t sell consumer data to other agents. This is a big win for the consumer. You heard of the Internet bubble back in the 90’s full of online companies that had high valuation with no real net income. This could be Zillow and Trulia if they don’t find a way to turn a profit. They’ll try, and agents better be prepared to pay more. Consumers should be prepared to be bombarded. Whether this deal passes antitrust or not, these companies have to find a way to turn a profit. Wall St won’t continue to pour money in forever. In the meantime, just remember Topagent.com in SW Florida. We won’t sell your data and you can search away. Then when you’re ready, call us and we’ll have a one on one conversation. That’s a novel idea! Local numbers were just released and June 2014 single family home sales were up 8.1% over last year with a median sales price of $200,000. That’s up from $185,000 last year and up from $195,000 last month. Average SW Florida home prices have been holding steady all year around $300,000, bouncing between $299,000 and $319,000. 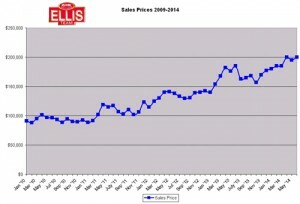 Median prices are definitely up for the year while average sale prices are level. Listing inventory is falling as it usually does this time of year, however it is up from last year about 5%. This is a positive sign and indicative of a healthy market. There will always be a level of homes that never sell because they are priced too high for what they offer. Having more inventory creates visible competition for sellers. When prices outpace the market, buyers shut off like a hose spicket. We have not seen that, but there is invisible competition coming to the market some sellers may not be aware of. We’ve been warning sellers for months that new home inventory is arriving. Builders have been ramping up and we know of many new homes coming to the market and available starting in September. These new homes will add to the inventory, but they won’t show up in the numbers. Sellers won’t necessarily know about them, but buyers will. Nationally inventories are at their highest levels in over a year which is tempering price gains. We could see the same here in SW Florida heading into next year. What’s different in SW Florida versus the rest of the country is the economy. Locally we have positive driving forces. Companies are hiring and relocating here. Bringing higher paying jobs to SW Florida helps our median income. Nationwide, wages are stagnant which keeps a lid on rising prices. 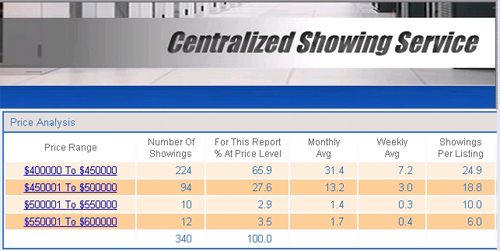 Traditionally SW Florida fares well against the national real estate market, although it does affect us to some extent. Some people need to sell up North before buying here. In the past 7 years or so SW Florida trailed the national market, so it’s kind of refreshing to lead again. Rising inventory is leading to increased sales. We always said if we had more inventory we could surely sell it, assuming it’s fairly priced inventory. If a home is priced over the market then it’s not really on the market. We wish there was an index of inventory levels of correctly priced homes. Several years ago we invented the Current Market Index which accurately predicts home sales going forward. We’re working on a new index that measures inventory levels by price so we can determine how much of the current available inventory is actually on the market and how much is over the market and not truly available. Next season buyers will have choices between existing homes and new homes built and ready for delivery. We’ll be watching to see if builders can keep up the pace with delivery homes versus building on contract for a buyer. The bottom line is this will cause sellers who wish to sell an existing home to be competitive. Builders can offer a new never lived in home with new features, but they can’t always offer the same location. There will always be a premium for location, i.e. west of 41 and closer to the beaches. Many new communities are inland so the land costs will be less. As always, if you want to sell you’ve got to price it correctly. Many sellers are choosing to sell and purchase something else that fits their needs better today. Interest rates are still low so it makes sense to do it now. When rates change, some sellers may not want to make the move because the new home will cost more to finance. The bottom line is the SW Florida real estate market is healthy and more balanced and our economy is good. We’ll keep an eye on shifting forces and see which way it directs SW Florida home prices and by how much. 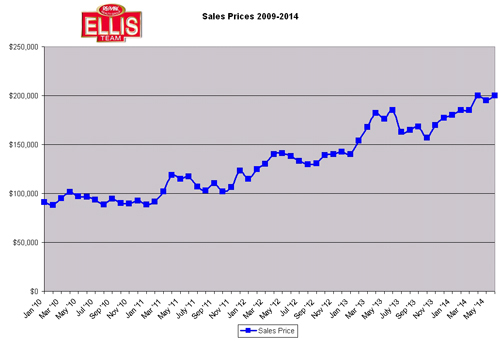 Here is your Fort Myers Real Estate Market Update July 2014. June sales numbers are out for the Fort Myers real estate market and SW Florida real estate market and median home prices rose 8.1% over last year’s numbers. Listing inventory is up 5% from last year. Actually listing inventory is down but it’s always down this time of year. Inventory levels are rising nationally and are at their highest levels in over a year. Rising inventory levels is seen as a good sign as inventory levels have been dangerously low. This has caused prices to rise. as prices have risen more sellers can now afford to sell, and builders are bringing new homes to the market because prices have risen. Many sells don’t realize new construction inventory is about to hit the market starting in September. This should help level out prices. The SW Florida real estate market is in good shape because our local economy is strong here. A weaker housing market up North can affect us here in SW Florida, but there is usually a lag. We’ll be keeping a watchful eye on the Fort Myers Real Estate Market and providing you updates. In the coming days we’ll have a more detailed analysis on our Blog. Feel free to search the MLS if you have interest in buying or selling in SW Florida. You can always call us at 239-489-4042 with questions. Be sure to follow our Blog for timely updates to the Fort Myers real estate market. Do Listing Photos Really Matter? Do Professional Listing Photos Really Matter? We’ve been doing real estate a long time. Long enough to remember the days when we’d go down to the board office and pickup MLS books on Tuesdays where each MLS listing had black and white listing photos in a book. It’s hard to believe real estate was done that way even back in the 90’s. Oh sure, agents needed at least one good photo of the front of the home for print advertising. Some agents didn’t bother taking more photos than the front. Then along came the Internet in the mid to late 90’s. MLS’s started accepting more photos of the home, and agents started posting the entire MLS on their website like we do at www.Topagent.com In fact, we were the first agents to put the MLS on our website back then. I was searching through listings the other day and I came across some really bad photos. Some were obviously shot from and iPhone because they had that narrow elongated tiny vertical picture you see, almost like a screenshot photo. Other photos had cluttered counter tops or garbage all over the place. I don’t want to call out any local Realtors or sellers so I won’t display those photos here. I was just amazed that they’d put these photos online knowing full well that sites like Zillow, Realtor.com, Homes.com, Trulia, etc scrape that data and display these listings online, not to mention all the agents who display the MLS on their websites. Basically the world’s first and last impression of these homes is a series of crappy photos. With more buyers starting their search online, why in the world would they expect a showing from these photos? 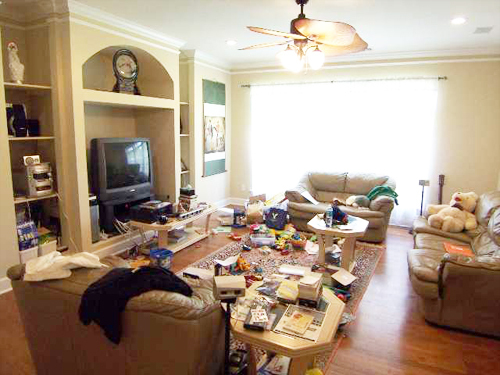 We since stumbled onto a website called badmlsphotos.com Believe it or not there is a website dedicated to calling out sellers and Realtors for displaying bad photos online. Much thanks to Barry Bevis who runs this site for allowing us to use one of his photos. The Ellis Team takes photography seriously. It all starts with hiring photographers who take excellent pictures. Some homes can be tricky with lighting, both interior and exterior. Having a pro can make all the difference, so we hired someone on staff with experience. In fact, we have two full-time employees on staff with photography experience. We also have a Photoshop expert optimize our photos for extra quality. We created a website called www.HomesinHD.TV Basically it’s our homes shot in High Definition. We take professional photographs and edit them then combine them with full HD video and aerial photography. The result is a Hi Definition video we use to market each of our listings. Not only are these videos available on our website, but the high quality still photos and aerial photos are available on national sites like Realtor.com, Trulia, Zillow, etc. We have the ability to place these photos into MLS so these aggregating sites pickup on our photos. The photos your Realtor provides to MLS makes all the difference. Buyers today are deciding which homes they want to see based upon their impressions from photos. Many Realtors show homes online in their office and narrow down which homes their customers want to see. This is one reason why each showing matters and many times buyers buy on day 1. Buyers today are more informed. They do their homework before contacting a Realtor. They’re more ready to make a decision. Just another reason why you don’t want to turn down showings and keep your home ready at all times, but that’s fodder for another article in the future. Bottom line, hire a Realtor that takes photos seriously. Your sale depends upon it. The buyer takes them seriously, and so should the seller. 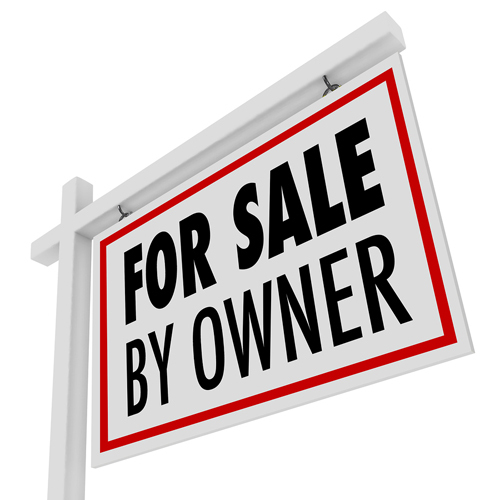 For Sale By Owners are at a big disadvantage and it’s not really the seller’s fault. There are several reasons why it’s hard to sell a home By Owner. The number one factor is Fear. Buyers have a fear about the process of buying a home and without an agent all those fears bubble up. They fear they don’t know the area as well as the seller. They don’t know the neighbors. Buyers may not know the schools, etc. They don’t usually know how to structure a contract, and they don’t know financing. Buyers have never lived in the home, but the seller has. Buyers feel at a big disadvantage, so their fear leads them to the second biggest issue, which is trust. Buyers become skeptical because they realize they’re not holding many of the knowledge cards; the seller is. The seller knows much more about the home and the neighbors than the buyer. There isn’t an agent as a go-between so there is a lack of trust. This lack of trust is born out of fear. When you have fear and lack of trust, any potential transaction is shaky at best. The seller has fear and trust issues too. The seller also does not understand financing, insurance, etc. The seller is fearful that the buyer may not be able to qualify or is telling them the whole story. There is no agent to verify certain facts, so the seller must ask the tough questions themselves. Buyers don’t like to divulge confidential financial information to the seller as they would a seasoned professional like an agent. Buyers trust their agent; they don’t trust a seller they don’t know. The seller doesn’t trust a buyer they don’t know, and there begins the cycle of distrust, which elevates fear. Buyers and sellers don’t negotiate with other buyers and sellers everyday, all day long. The questions they do ask come across as personal, so they get evasive answers. Buyers and sellers treat each other at arms length because they know whatever they say could be used against them in the course of negotiation. Some buyers and sellers get cute and try to Buffalo their way with the other side. Even if they are better Buffalos, the other side typically reads they’re not getting the whole story. Complex issues arise in a transaction. Inspection issues can be sticky, not to mention insurance, survey, financing, HOA, and past permit issues, to name just a few.